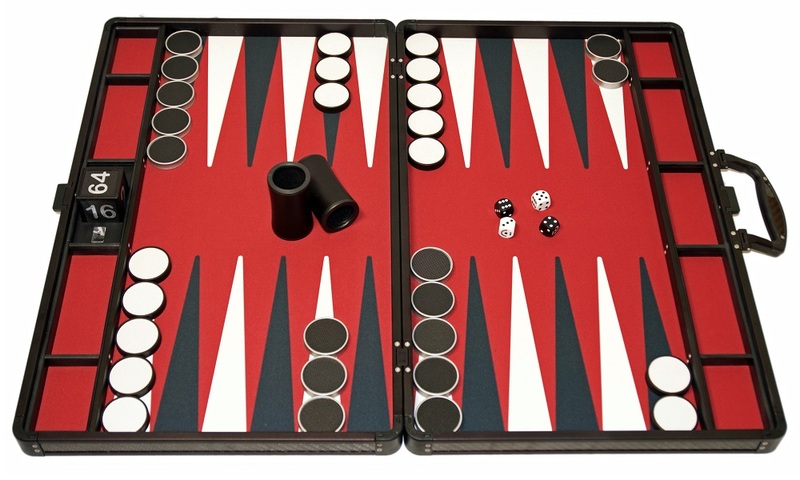 This is a unique set of P-40 Backgammon Air in this Wine Red color. 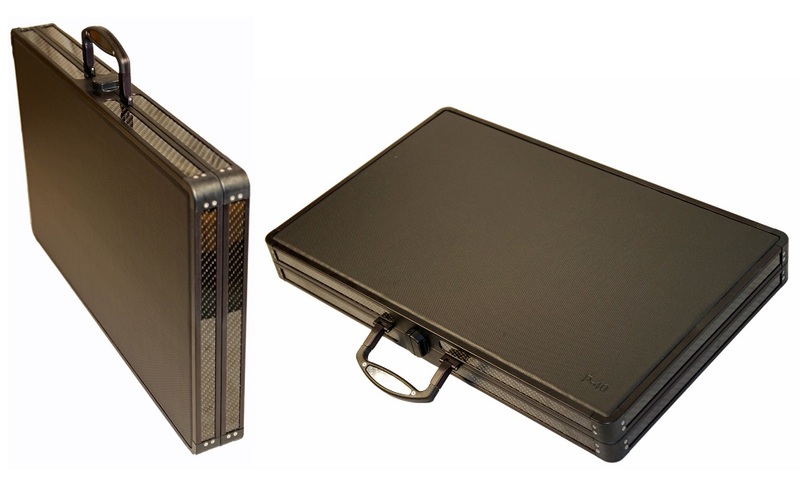 The board are precision-manufactured and designed to create the best gaming pleasure while maintaining the highest possible quality. 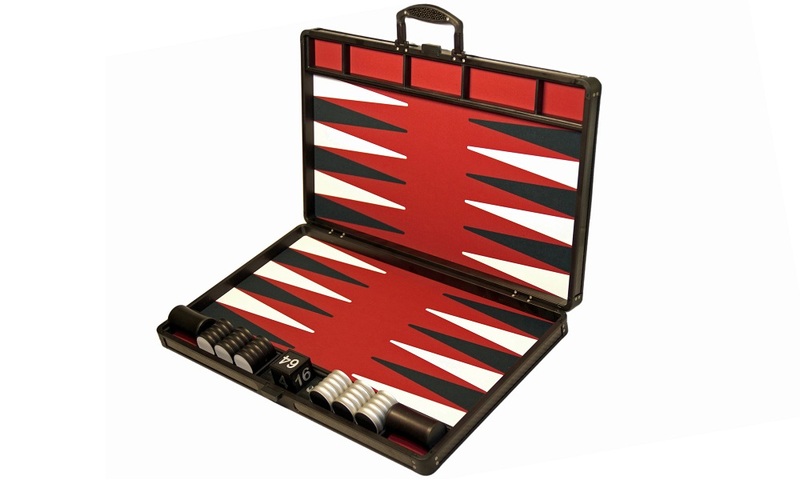 The outside of backgammon board is made of anodized aluminum and vinyl. Inside is the playing field made of polyester gaming cloth backed with a propietary foam, giving the surface its bounce. The customization options offered make it possible for the players to create their own perfect board without having to pay a lot of money. 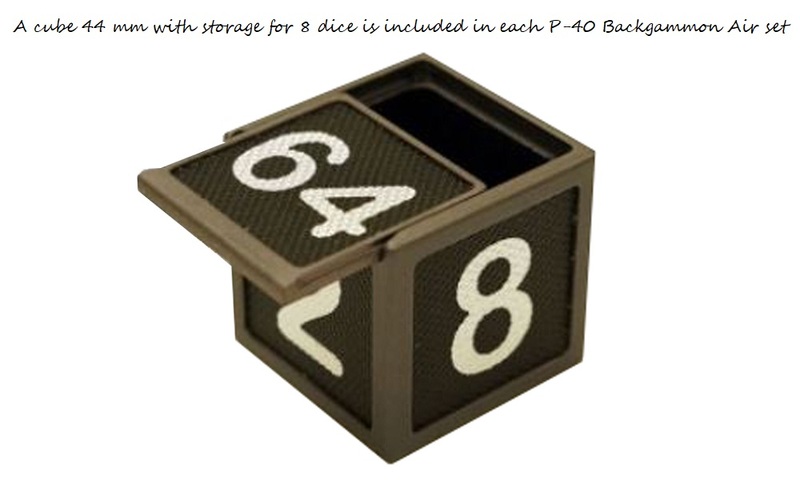 The Backgammon board is a very precise product with playlist inserted into rails with a little space tolerance to enable quick and easy exchange within 3 minutes; (additional playing surface included). 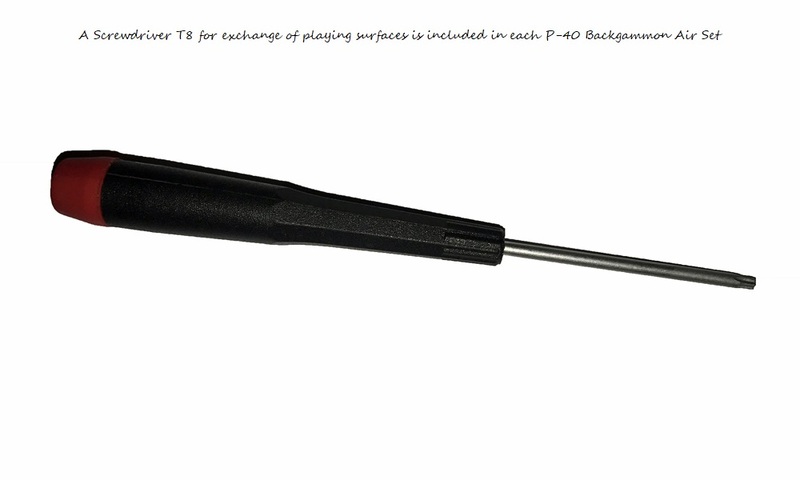 The entire backgammon spell consists of replaceable parts that can easily be replaced as needed. 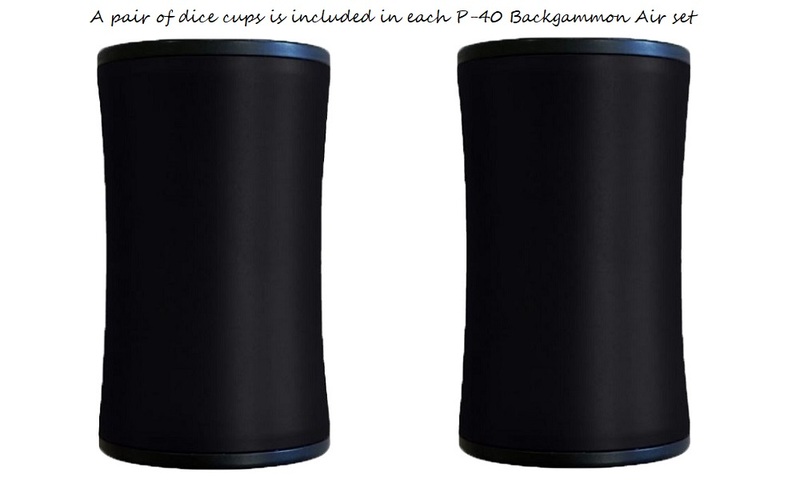 If you start using P-40 backgammon products, you will probably never use another backgammon gadgets for the rest of your life. 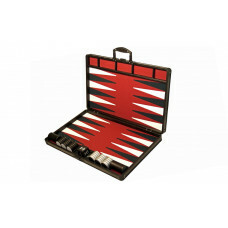 Backgammon playing field Made of polyester gaming cloth in Wine Red with printed points in black and white. 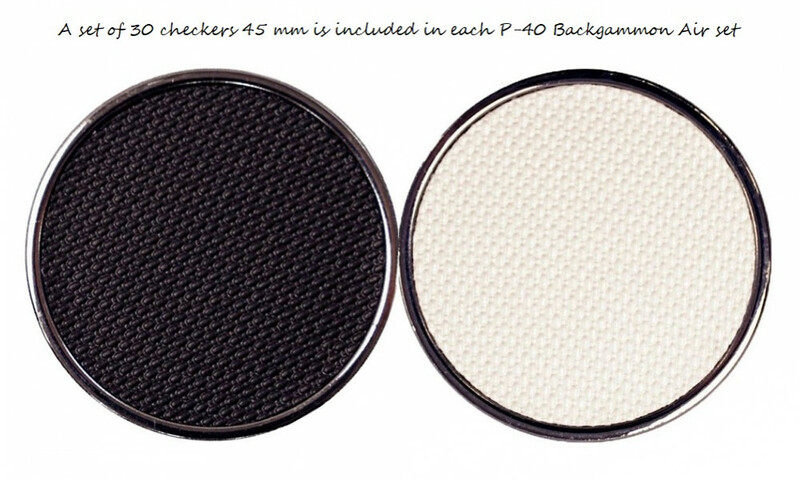 An additional playing surface in gray included. 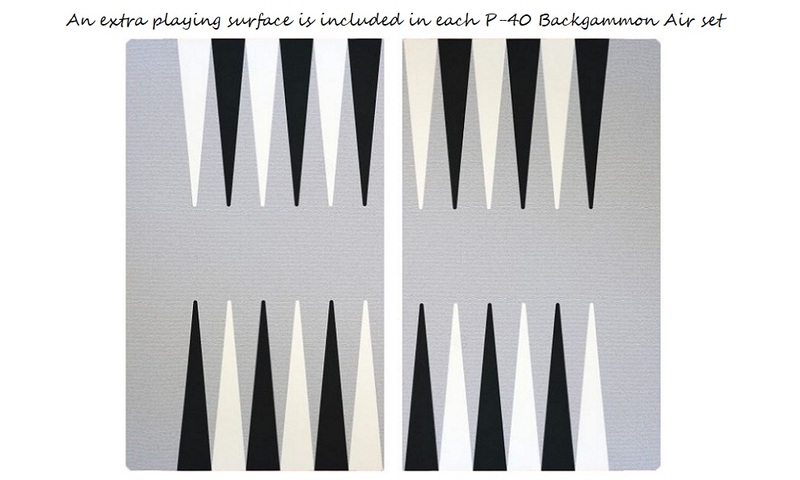 Game pieces Backgammon pieces made of aluminium, vinyl and polyester, 45 mm. 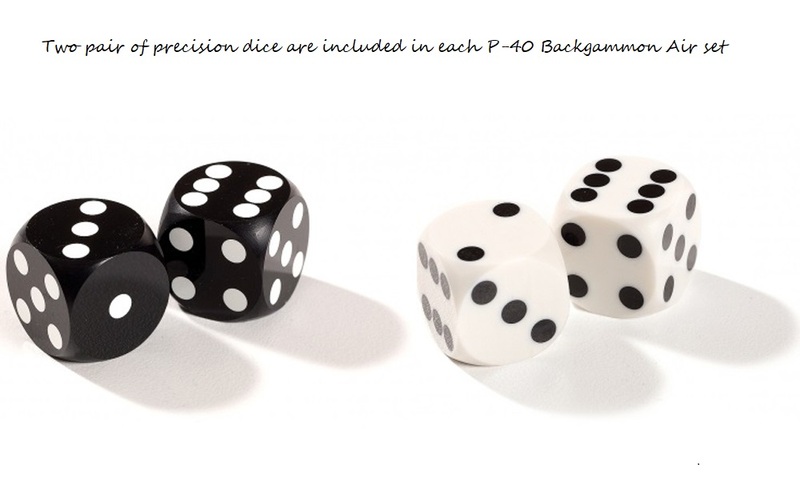 Dice 2 pair of precision dice in black and white 16 mm.